I think that of all the activities open to those who like to think of themselves as literary scholars, translation is the most scientific. I know this goes against all received opinion, and yet if one accepts, with current philosophy of science, that the demarcation line between the scientific and the non-scientific is inter-subjective testability, it is easy to see that what a translator does to a literary text is much more easily testable than what a critic, for example, does to it. I try to translate accordingly. I believe that what I should do is to give readers the most complete set of materials for their concretization of the text. How they use them (i. e. what the text eventually comes to signify for them) is none of my business. I have no poetics of my own to justify distortions of the source text; what is more, I am not allowed to have one. Again contrary to received opinion, I do not create: I transmit. What I do is as ‘artistic’ or ‘non-artistic’ as what any translator of any text does. Of course I have to know about literature in order to translate it, but does that give me the right to call myself a ‘literary’ translator and cordon myself off from the common herd? Others have to know about chemistry, say, or biology in order to be able to translate a text. Does that make them ‘chemical’ or ‘biological’ translators? The main thing to me is what is now more and more called the ‘pragmatics’ of the text, which roughly amounts to what used to be called something like its ‘total impact’. This means that I try to find out what effect a text makes on its readers in the original language. But that is not the end of it. I also try to imagine, in some cases, what effect it could have, and I try to find ways to remedy the fact that it does not have that effect. This also means that I translate texts, not words or sentences. It means, moreover, that I translate texts written by very specific writers at a very specific time, not ‘anonymous’ texts. The annual conference organised by OASPA took place in Lisbon this year, and for the first time members of UCL Press were there to present a paper and to attend the conference. Now in its 9th year, COASP presents a key opportunity for publishers and affiliated colleagues – such as librarians, funding agencies, government, academics and higher education communities – to gather and discuss developments in open access for scholarly research. This year’s conference started with an inspiring talk by Jean-Claude Burgelman, Head of Open Data Policy and Science Cloud for the European Commission, who outlined the Commission’s vision for open access to scholarly research. This included an announcement that the Commission would start to publish articles themselves and would be seeking a partner to provide a journal publishing platform with fast publication times and open peer review, along the lines of that adopted by the Bill and Melinda Gates Foundation and the Wellcome Trust (both of whom use the F1000 publishing platform). Sessions followed on open infrastructure, APCs, research evaluation and assessment and peer review, with speakers including the Head of Scholarly Communications at Cambridge University Library, Danny Kingsley, the Publisher for PLOS, Louise Page, and the Head of Open Research for the Wellcome Trust, Robert Kiley. Interspersed, were panel presentations featuring related initiatives in OA infrastructure, policy and publishing. The conference and the society are geared towards scientific journals, and there was therefore very little on OA monograph publishing. I was on the only panel discussing OA book publishing, focussing on peer review for OA monographs, along with Anke Beck, CEO of De Gruyter, and Aina Svensson, Head of the Electronic Publishing Centre at Uppsala University Library. Many delegates commented after our presentations on how different peer review is for books than for journals, since it involves considerably more editorial development and discussion, and often makes a significant contribution towards the shaping of the overall book, rather than simply evaluating quality. Overall, it was an immensely useful couple of days and, as always at conferences, it was also a chance to see our many colleagues and partners in the industry who come from far and wide and who we don’t see very often, and to meet new publishers and hear about other initiatives and practices from around the world. I was particularly interested to meet the university presses of the University of Technology Sydney and Adelaide University, who both have thriving OA book and journal publishing programmes. It was also great to meet the Head of University of Missouri Library’s Open Scholarship and Publishing Services, who have a fantastic open access textbook programme that has seen great success so far, and from which UCL Press’s developing OA textbook programme can draw inspiration. Modern Americas is a brand new series that will publish open access books on the culture, politics, and history of the Americas from the nineteenth century to the present day. The series aims to foster national, international, trans-national, and comparative approaches to topics in the region, including those that bridge geographical and/or disciplinary divides, such as between the disparate parts of the hemisphere covered by the series (the US, Latin America, Canada, and the Caribbean) or between the humanities and social/natural sciences. The series invites proposals for monographs and edited volumes from scholars in all disciplines. The editors will also consider publication-ready translations of works that have originally appeared in Spanish, French, or Portuguese. All books published in the list will be available in free online access form. 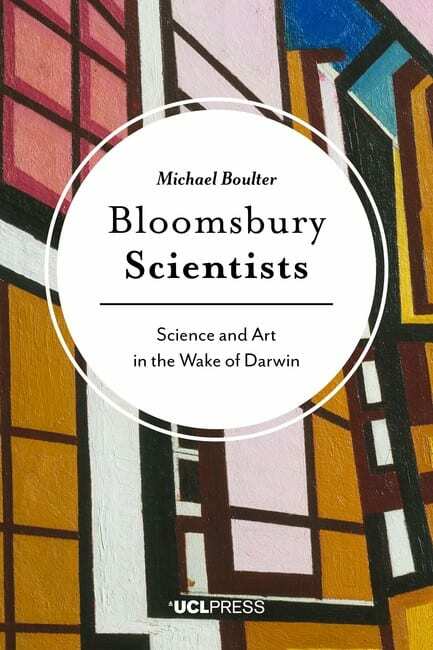 We’re delighted that the Daily Telegraph chose to review Bloomsbury Scientists: Science and Art in the Wake of Darwin in Saturday’s issue of Review. 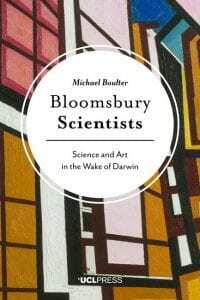 Spanning pages 27 and 28, andpublished under the title ‘Imbeciles should certainly be killed’, the review notes that the book ‘concocts a confusing, ugly, fascinating account of the battle between arts and sciences’ and describes it as ‘absorbing’. As with all UCL Press outputs, the book is available to download free, and also in reasonably priced paperback and hardback editions. 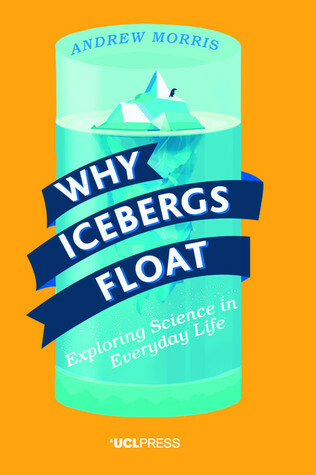 Win a copy of Why Icebergs Float with Goodreads! To celebrate a year since the publication of Why Icebergs Float, we’ve teamed up with Goodreads to offer avid readers the opportunity to win one of three copies! To enter, use the line below [free membership required]. Giveaway ends October 20, 2017. From paintings and food to illness and icebergs, science is happening everywhere. Rather than follow the path of a syllabus or textbook, Andrew Morris takes examples from the science we see every day and uses them as entry points to explain a number of fundamental scientific concepts – from understanding colour to the nature of hormones – in ways that anyone can grasp. While each chapter offers a separate story, they are linked together by their fascinating relevance to our daily lives. If you can’t wait to read it, it can be downloaded for free from here, or viewed online here. UCL Press is pleased to announce a new hosting partnership with ScienceOpen, a platform which will host its open access journal programme. ScienceOpen is an open access indexing platform provider based in Berlin and Boston, which indexes journal abstracts or full text OA articles. The platform, for the first time offered as a white labelled hosting platform, extends UCL Press’s list of dedicated and enhanced content discoverability for its authors, editors and journals. Published as full text XML and metadata (as well as the more traditional PDF), UCL Press journals can link better into search engines and other online scholarly materials and outlets. Authors, editors, reviewers and readers will be able to make use of post-publication peer review, online commenting, individual article and author metrics (like Altmetric), citation and access tracking, ORCiD integration, and a whole host of other benefits that you can read more about on the ScienceOpen website and blog, here. In the coming months, UCL Press plans to experiment with new forms of more transparent peer review and sees the open peer review infrastructure on the ScienceOpen platform as an ideal way to explore post-publication review workflows. All UCL Press journals will be available for continuous peer review – where articles can receive further review and comments after final publication, that are updated using a system of version control (meaning identified revisions and iterations of an article and its reviews) – to encourage collaboration and elicit debate and discussion. Further announcements on this will be made in due course. Have a look at the journal webpages here!